Hospice care is a special way of caring for people with terminal illness and their families, and provides many benefits that aren’t often offered in a traditional health care setting. Hospice and palliative care involves a team-oriented approach to expert medical care, pain management, and emotional and spiritual support expressly tailored to the patient’s needs and wishes. Support is provided to the patient’s loved ones as well. Hospice care treats the whole person, offering support for pain and discomfort, fear and loneliness, anxiety about the future and concern for family and friends. Hospice uses a team approach to meet all the needs of a seriously ill person. This approach includes training family and friends in care techniques, providing 24-hour telephone support for the caregivers, and providing bereavement counseling for the family after the loss of a loved one. The hospice philosophy is that the quality of life should be as important as the length of life. Palliative (pronounced pal-a-tiv) care is an approach to life-threatening chronic illnesses, especially at the end of life. Palliative care combines active and compassionate therapies to comfort and support patients and their families who are living with life-ending illness. Palliative care strives to meet physical needs through pain relief and maintaining quality of life while emphasizing the patient’s and family’s rights to participate in informed discussion and to make choices. This patient and family centered approach uses the skills of interdisciplinary team members to provide a comprehensive continuum of care, including spiritual and emotional needs. Hospice services are covered by Medicare, Medicaid, private insurance policies with a hospice benefit, and/or by private pay. Care is provided without regard to financial status. What’s involved with caring for a loved one receiving hospice care at home? It varies from patient to patient, but we work with you to develop a personal care plan built around the patient’s needs. Every patient of Avalon Hospice & Palliative Care has an interdisciplinary team of experts assigned to his or her care. Care teams are made up of physicians, registered nurses and certified nursing assistance, counselors, chaplains and trained volunteers. Caregivers are taught to provide for patient needs. We are available 24 hours a day, seven days a week to provide the support you need. Who decides when hospice care starts? At any time during a life-limiting illness, it’s appropriate to discuss all of the patient’s care options including hospice. By law, the decision belongs to the patient. Understandably, most people are uncomfortable with the idea of stopping an all-out effort to recover from their disease. Hospice staff members are highly sensitive to these concerns and are always available to discuss them with the patient, family and physician. Does the doctor stay involved in the hospice patient’s care? Yes. The patient’s doctor is an important member of Avalon Hospice & Palliative Care’s interdisciplinary team and is the contact for all orders and provides frequent updates of the patient’s status. Is the home the only place the patient can receive hospice care? The home is the usual care setting. A family member or a friend assumes the role of primary caregiver and receives support from Avalon Hospice & Palliative Care. 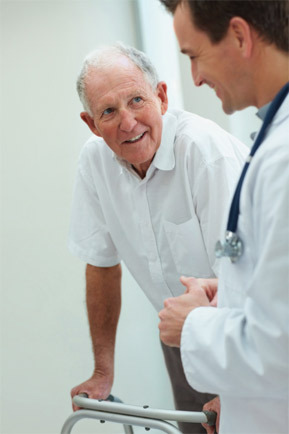 Patients can also receive care at an inpatient facility such as a nursing home. We can serve the patient in multiple locations depending on the patients’ needs at a particular time. Hospice staff will contact the patient’s physician to make sure he or she agrees that hospice care is appropriate for this patient at this time. We, as well as many other hospices may have medical staff available to help patients who have no physician. The patient will also be asked to sign consent and insurance forms. These are similar to the forms patients sign when they enter a hospital. Does someone need to be with the hospice patient at all times? In the early weeks of care, it’s usually not necessary for someone to be with the patient all the time. Later, however, since one of the most common fears of patients is the fear of dying alone, hospice recommends someone be there continuously. Also, if the patient is not safe being left alone, hospice will recommend providing 24-hour care. How does hospice manage pain and discomfort? Avalon Hospice and Palliative Care’s nurses and doctors are up-to-date on the latest medications and devices for pain and symptom relief. In addition, physical and occupational therapists assist patients to be as mobile and self-sufficient as possible. Avalon Hospice & Palliative Care believes that emotional and spiritual pain are just as real and in need of attention as physical pain, so these are addressed as well. Social Workers and a Chaplain are available to assist family members as well as patients. Is hospice care successful in controlling pain? Yes. Using some combination of medications, counseling and therapies, most patients can attain a level of comfort that is acceptable to them. Will medications cause the patient to be drowsy or unable to communicate? Is hospice associated with any religious organization? differences in regards to providing our end-of-life care and grief support. What happens if the hospice patient condition improves? Hospice neither hastens nor postpones dying. Hospice provides specialized knowledge and presence during the terminal illness. Does hospice provide any help after the patient dies? individual support from professionals and trained volunteers specializing in grief and loss. Also, offered is group support, specific educational programs and special memorial events. Hospice provides continuing contact and support for loved ones and friends for at least a year following the death of a patient. Does Avalon Hospice & Palliative Care protect my privacy? Yes, Avalon Hospice and Palliative Care complies with all privacy and protection regulations, including HIPAA. For more detailed information read our privacy practice. Thanks for learning more about our hospice care services in San Diego, CA.